Fans of Queer Eye have raised over $100,000 through GoFundMe to send Jessica Guilbeaux back to school. 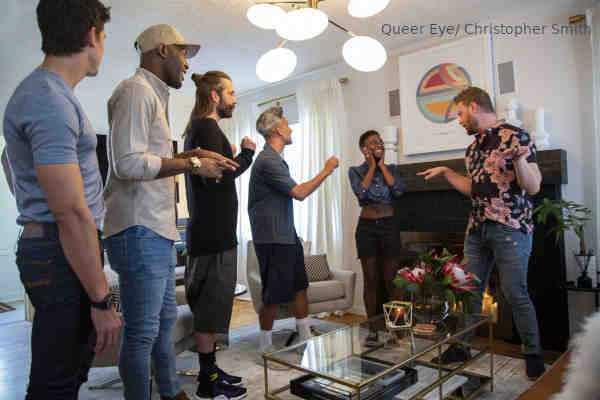 Guilbeaux is featured on the third season of the Emmy-winning Queer Eye. In “Black Girl Magic,” the 23-year-old waitress revealed that she was rejected by her adoptive family at 16 because she's gay and has been on her own since. Lack of money forced Guilbeaux to drop out of the University of Kansas. Guilbeaux said that she plans to give a portion of the money to GLAAD.